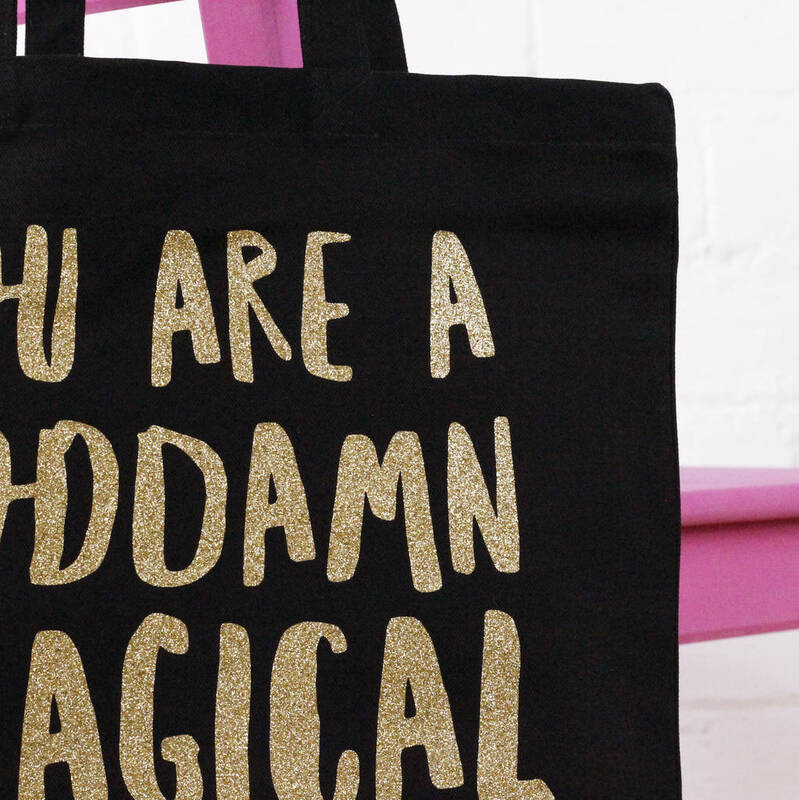 Tote bags are super useful for carrying anything and everything, and this bag will add a bit of magic to your everyday tote-ing! 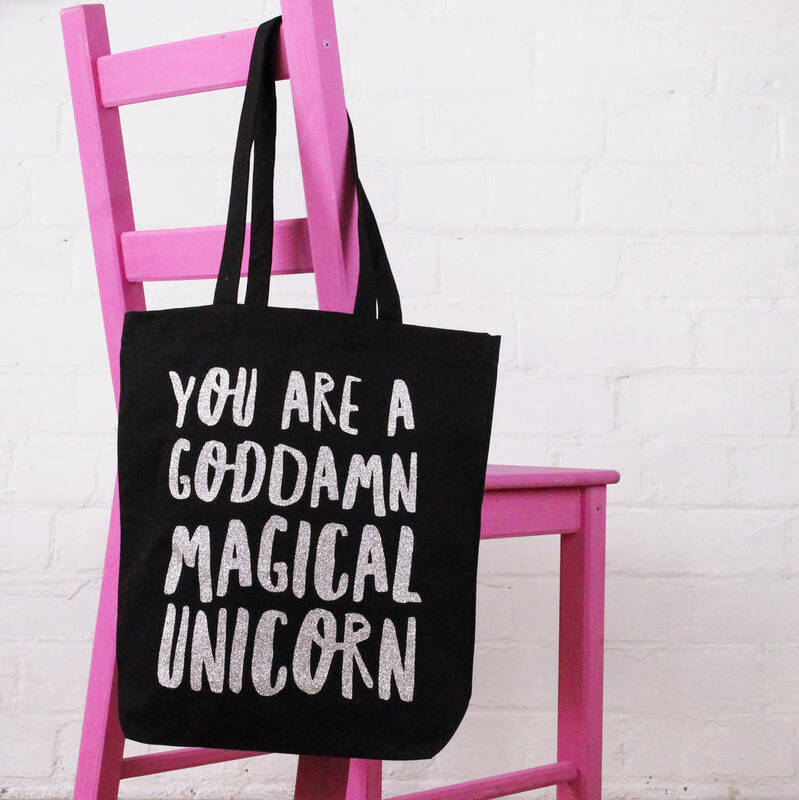 This tote bag is made from a high quality heavy cotton; it features long handles which make it perfect for carrying up on your shoulder. 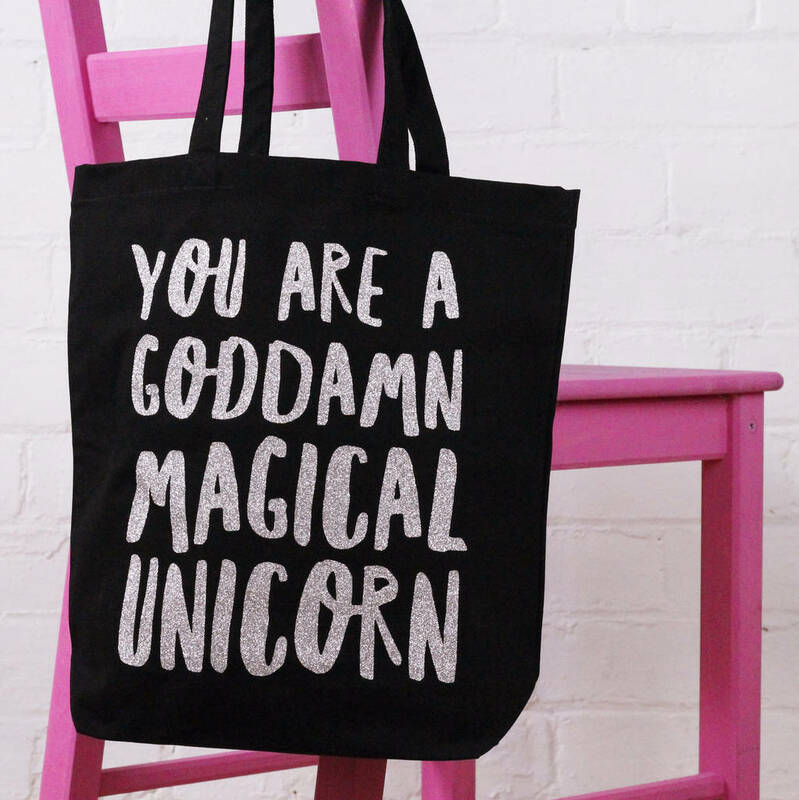 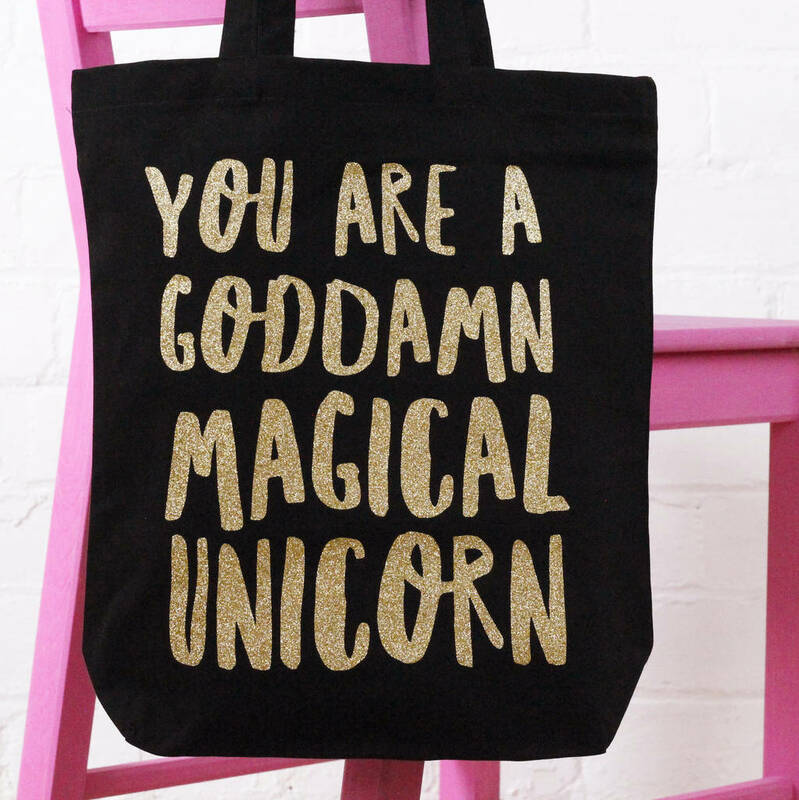 The design has printed in our studio and reads 'YOU ARE A GODDAMN MAGICAL UNICORN' in a handwritten style font. 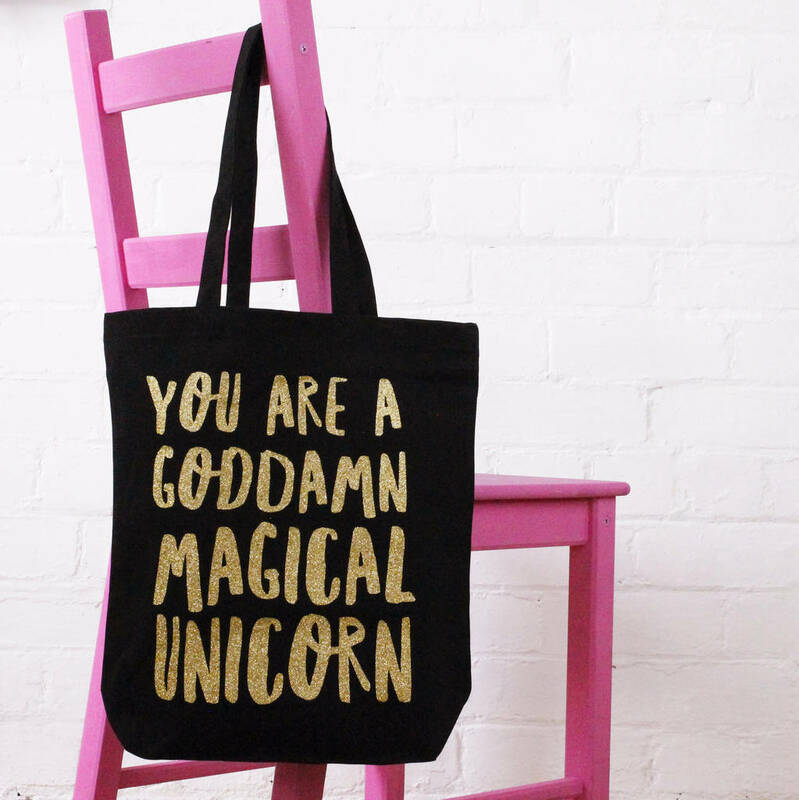 This bag looks great with any outfit and would make the perfect gift for the unicorn in your life! 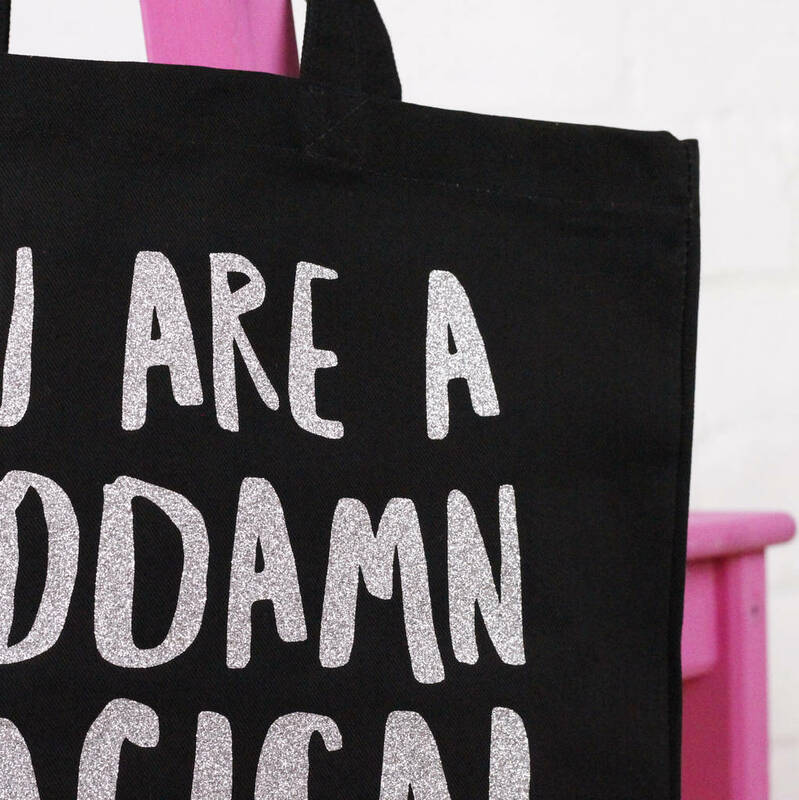 The bag has been made from black 100% cotton and heat pressed with a vinyl design.